At least six Gulf-based airlines have announced that they will stop flying to and from Qatar following a diplomatic dispute. The move will affect the travel plans of thousands of Qatar residents, as well as those passengers who have plans to travel to or through Qatar in the coming days. Among the airlines are four UAE carriers. This afternoon, Bahrain’s flag carrier Gulf Air added to the group, announcing on its website that the last of its multiple daily flights from Doha to Manama would be at 8:55pm local time (Bahrain to Qatar) while the final one departing Doha would leave at 10:40pm Qatar time. Meanwhile, Qatar’s national flag carrier Qatar Airways said it would halt flying to Saudi Arabia at least for today. These announcements come as the Saudi Arabian Civil Aviation Authority ordered a ban on all Qatar aircraft landing at airports in the Kingdom with immediate effect, state news agency SPA reported. Customers booked on Emirates’ flights to and from Doha will be provided with alternative options. These include full refunds on unused tickets and free re-booking to the nearest alternate Emirates destinations, it added. It advised all passengers bound for Doha to make alternative arrangements. Etihad Airways made a similar announcement on its website, confirming that the last flights from Abu Dhabi to Doha will be flight EY391 which will depart at 9:35pm UAE time. Flight EY398 will be the last Abu Dhabi-bound one, leaving Qatar just before 11pm tonight. 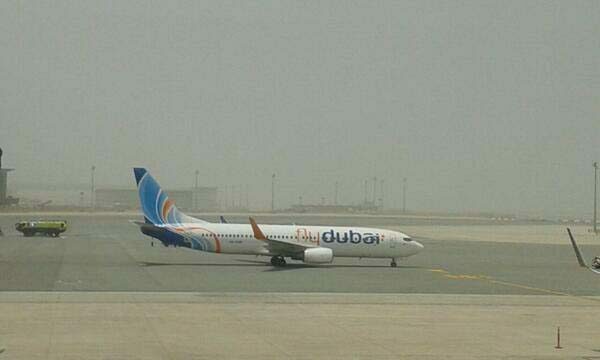 And budget carrier Fly Dubai also confirmed today it would suspend its operations to Doha from tomorrow. On its Facebook page, it said the last flight out of Doha, heading to Dubai, would be leave Hamad International Airport at 10:40pm. For its part, Air Arabia said it would cease flights from Sharjah to Doha starting tomorrow, Reuters reported. The airline’s last flight from Sharjah to Doha will depart at 6:30pm local time today, while the last inbound flight from Doha to Sharjah will depart at 7:25pm local time, the newswire said. Meanwhile, aside from a short statement on its website about halting flights to Saudi Arabia, Qatar Airways has not commented on how its other routes will be affected. But Saudi Arabia and Bahrain have both said they will close their airspace to flights from Qatar. This will significantly impact Qatar Airways, which will be forced to route its flights around the closures. Bahraini airspace is large, running almost up to Kuwait to the north, the UAE to the east and Saudi to the south and west. When the UAE also closes its airspace to Qatari flights, the airline will have to route most flights from Doha via Iran. This will lead to significant detours for many flights. Have your travel plans been affected by this Gulf row? Thoughts? E-gate services in Qatar were used some 865,000 times in the first three months of this year, officials have announced. That’s compared to about a million usages in all of 2016, when e-gate used to cost an annual fee and require prior registration. The numbers reflect a tremendous increase in demand since the service, which fast-tracks residents through immigration, was made free and available to most expats in December. Officials are now urging Qatar residents to use the service when possible to speed up processing at the airport. The aim is to triple e-gate usage by the end of 2017 to some 3.5 million passengers, said Col. Mohammed Rashid Al Mazrouei, Director of Airport Passports Department. Currently, there are 21 e-gates at departures, and 20 at arrivals. Each will be increased to 40 in the coming months, he said in a statement this week. To use the service, travelers should head to an electronic gate and present their Qatar IDs or passports. After passing through the first gate, they then offer a fingerprint or iris scan and then leave immigration. The process usually takes about 10 seconds, the Ministry of Interior said. It added that anyone who has trouble using the service can log biometric data like an iris or fingerprint scan at kiosks set up at HIA. Free e-gate is part of larger efforts to automate most travel services within the airport, from bag weighing to boarding pass printing to boarding the aircraft. The move should help with wait times, as well as reduce costs for operators. HIA opened in 2014, but due to the rapid expansion of Qatar Airways has seen a surge in transit passengers and is already operating beyond capacity. Do you use e-gate? Thoughts?